How to choose furniture that fits into the interior and does not clutter up the room? How to organize space so that you can entertain guests, sleep comfortably and storing all your belongings? Many people notice that with time they accumulate more and more things – books, souvenirs, interior items – that need to find their place in the home which leads to the need of increased storage space. Quite often large storage cabinets are installed in the living rooms as well as in the bedrooms but many homeowners feel that this is not the best decision as the rooms look narrower and cluttered with furniture. What would be a good alternative providing enough storage space, creative opportunities and how to choose more practical furniture options? How about modular shelving systems with modern design which will complement your interior and accommodate all those items that you move from one place to another? We will show you some great ideas and creative open shelves designs which can be used in living room, dining area, nursery, kitchen, master bedrooms, even bathrooms. 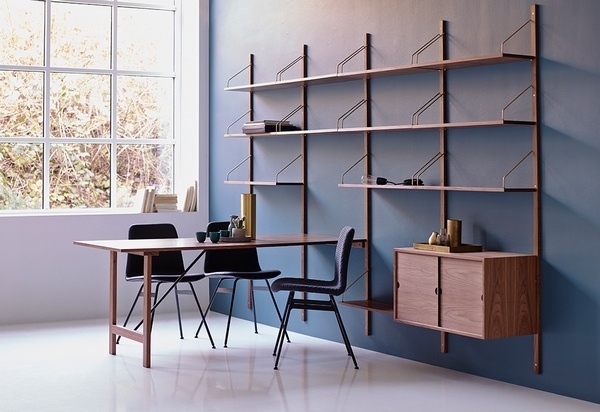 What are the distinctive features of modern modular shelving systems? Obviously, this type of furniture consists of modules – individual elements that can be combined, adapting the kit to your individual needs. Unlike classic storage furniture like cabinets and chests of drawers which are often bulky and impossible to arrange in a small apartment where every square meter is important, a modular shelving system can be easily placed in corners and transformed to meet your needs, allowing a rational organization of space. Most of the modular structures are based on a wall structure, shelves, modules with drawers and everyone can select and combine a variety of elements. The simplest example is a few small cubes that can be used individually as bedside tables or put on top of each other. Convenience – modular shelves are the perfect storage space solution for small apartments, where the size of the rooms does not allow installation of a large wardrobe or wall furniture. 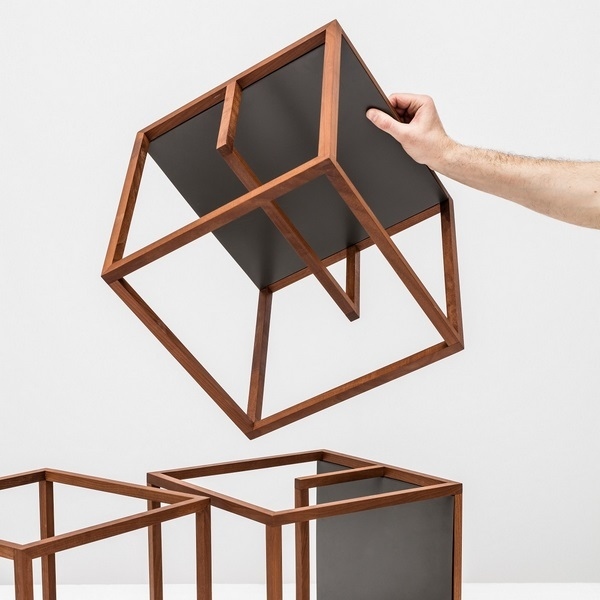 As a rule, modules are small and they can be easily placed between existing furniture pieces. In addition, if necessary, you can buy more modules, if after installation it turns out that you do not have enough shelves. Style and visual appeal – manufacturers offer elegant designs in a variety of styles. 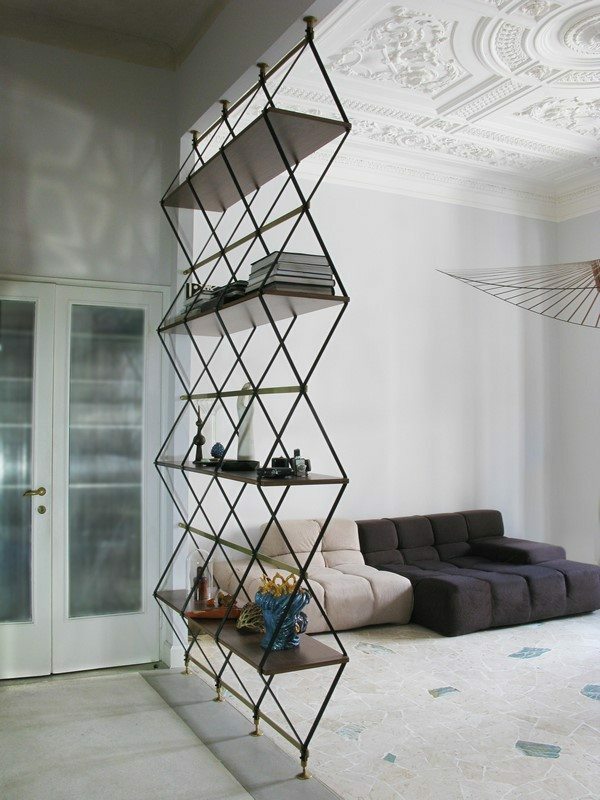 Shelving systems with modern straight lines, for example, will be ideal for contemporary or minimalist interiors and will add to the stylistic unity and integrity of the design concept for the home. You can select and combine different elements and arrange them among and around other furniture pieces. Many interior designers use modular systems to create comfortable, stylish, visually pleasing and at the same time unusual combinations which sometimes look like contemporary art. 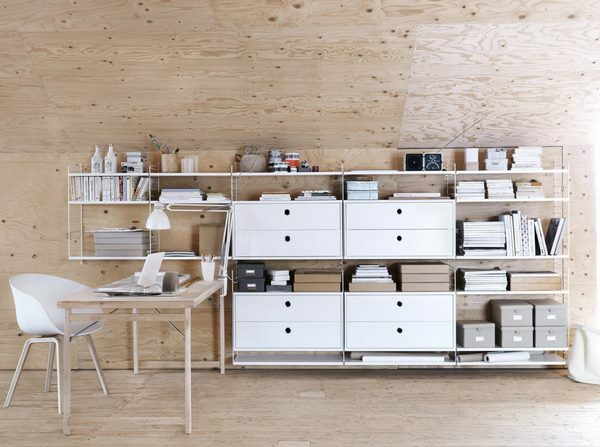 Easy rearrangement – this is, perhaps, one of the biggest advantages of modular shelving systems. You can arrange and rearrange them and the number of combinations is limited only by the imagination of the owner. You can easily swap a few of the elements and the room will get a completely different look. Lightweight – Usually the elements of modular systems are light and you can move them without much effort. In addition, a modular system is easy to transport if you are moving to a new apartment, for example, and most of the items do not even have to be disassembled beforehand. Multi-functionality – this is another great advantage of modular structures as they can be used in more than one way. For example, a shelving system can be used for zoning the space by separating the sleeping area from the living area or kitchen and dining area. Such furniture allows you to change not only the interior, but also the functionalityof the room. For example, a play room can easily be transformed into a place where it is convenient to do lessons, and then into a teen room with a library and a guest area. Price – modular furniture is much cheaper than custom-made furniture. At the same time, the variety of modules allows you to achieve a spectacular and unique interior. However, modular furniture has some drawbacks, which should be kept in mind before buying such shelving systems. Limited size options – typically, modular systems are manufactured in standard sizes which means that you have to take accurate measurements of the room to avoid unpleasant surprises. Simple shapes and forms – this is not so much a disadvantage, as it comes to taste, really, but almost all modular shelve designs have very simple shapes. Some manufacturers offer creative designs which combine the simplicity of shapes with stylish and original facades, bright or neutral colors, matte or glossy finishes, combination of materials like wood and metal, etc. 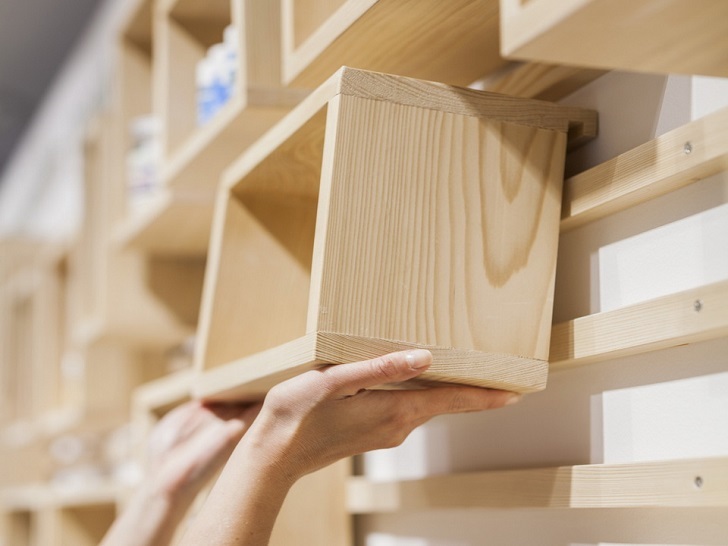 How to choose the type of your modular shelving systems? 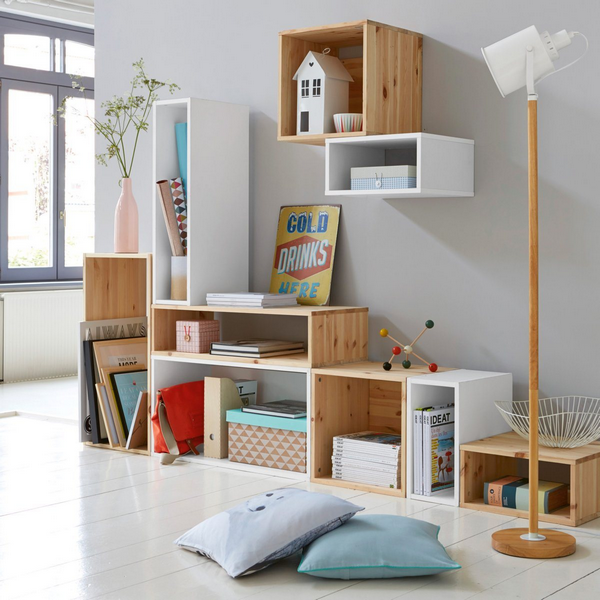 There are different types of modular shelving systems – from classic wall mounted varieties to floating shelves, stacked shelving systems, etc. Of course, you need to know where you want to place the shelves, how you will fix them, the number of elements, etc. 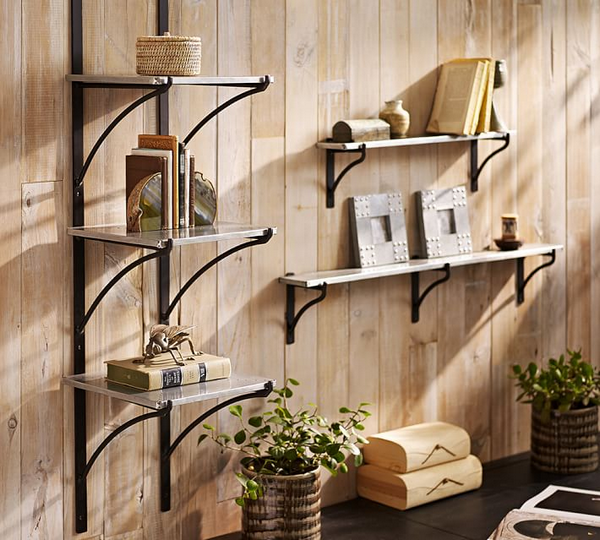 Classic wall shelves are the most popular option, which is fixed to a flat wall. 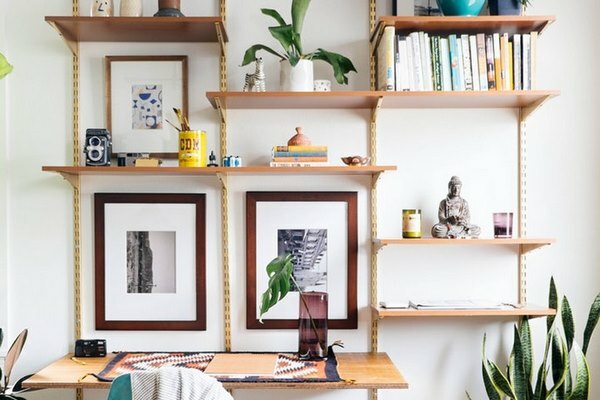 Despite the fact that this is the simplest type, there are huge opportunities for creative designs and you can choose from shelves of different geometric shapes, sizes, arranged in the form of honeycombs or complex compositions. You can choose to arrange the elements in a symmetrical or asymmetrical pattern to add visual interest to the composition, add a round or curved element or modules with drawers or doors to create a modern and more dynamic look. 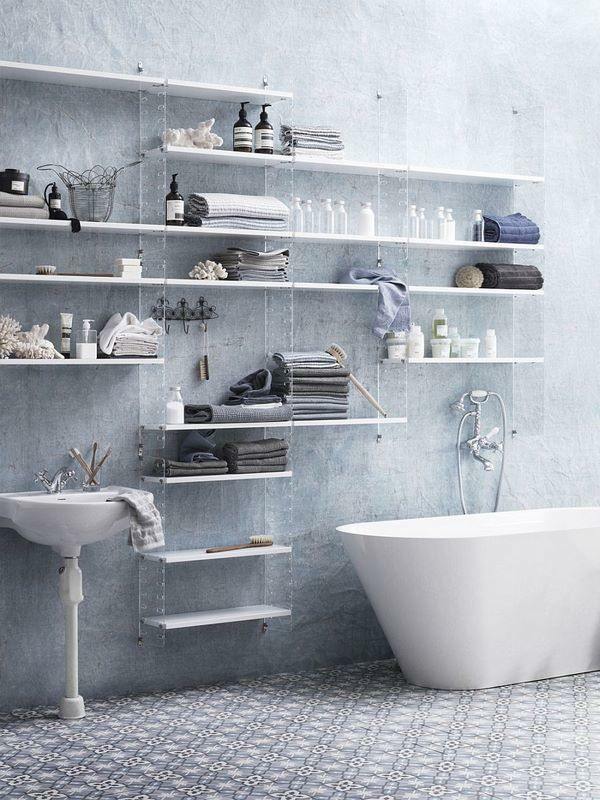 Corner wall shelves are an excellent solution to use empty spaces and transform the interior. Typically, those are inner corners and shelves are fixed on two adjacent walls, but you can arrange a number of elements on outer corners which is an unusual, but practical, solution. 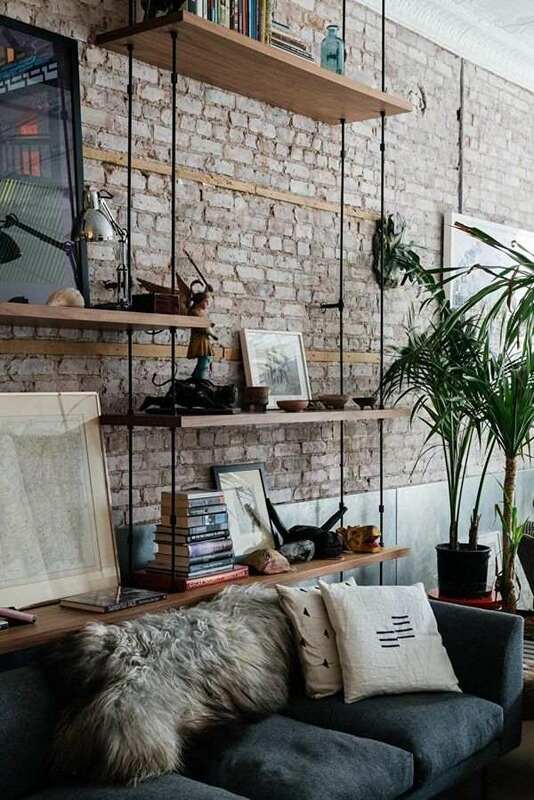 Suspended wall shelves, as the name suggests, are not fixed to the walls, but are hung on ropes attached to the ceiling or a beam. Some people find this type of construction quite unstable, but those who are looking for original accents will appreciate the unique appearance. 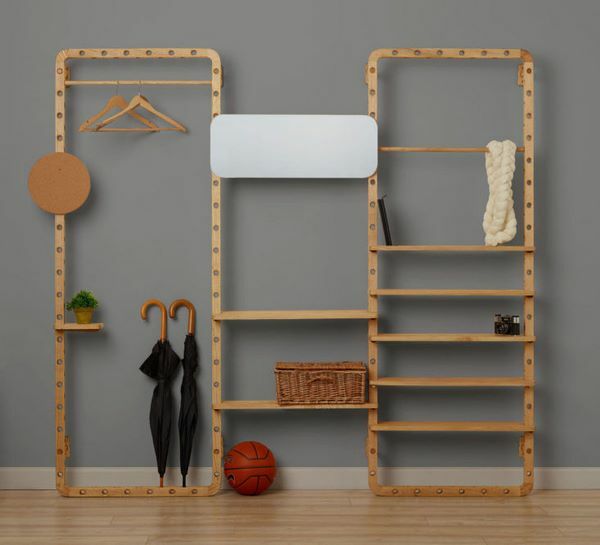 The market offers shelving systems made of different materials as well. You can choose from classic wood, MDF, chipboard or plywood, metal, which is durable, reliable and adds amodern sheen to the interior, plastic, which is affordable and versatile material. In addition, glass and mirror options are also available so there is something to satisfy each taste. Modular shelving systems like any other piece of furniture must be harmoniously incorporated into the style of the room. In living rooms wall mounted systems, composed of shelves and cubes, allow you to arrange a place for the TV and if you selected modules with sliding or hinged doors, you can organize the perfect place for storing small things. 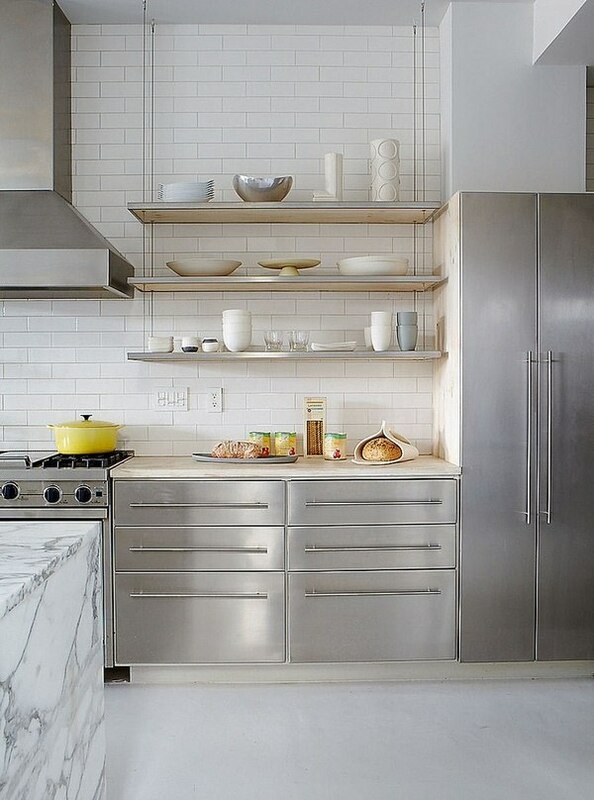 Modular shelving is ideal for the kitchen as well. Typically, kitchen cabinetry consists of separate low and upper cabinets. 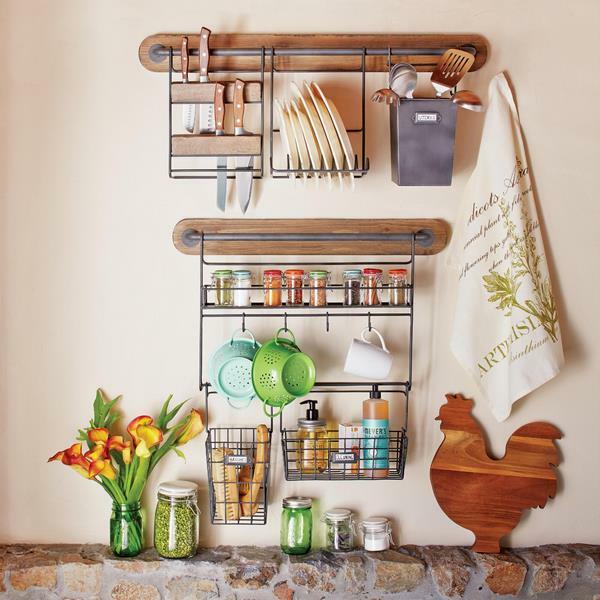 Nowadays, many designers choose dynamic compositions of shelves and cabinets as an efficient way to organize the space and store kitchen utensils, cookware, tableware and food. Bedrooms are not used only as a place to sleep. Many people use them as a home office and in kids bedrooms you need not only a place where the child can do his homeowrk, but a storage place for toys, books, textbooks, etc. 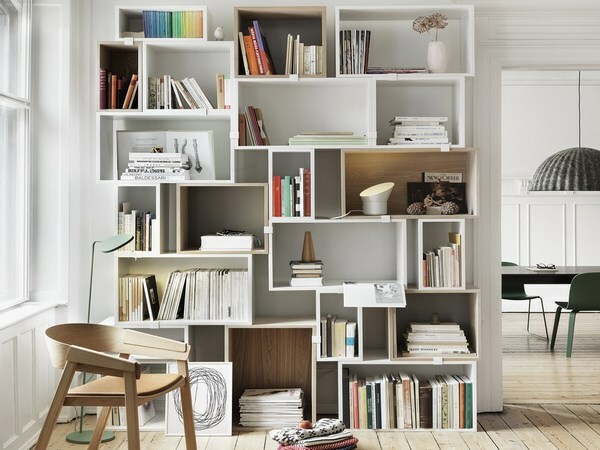 and modular shelves are the perfect solution, especially in small rooms. This type of furniture is exceptionally useful and practical for playrooms, laundry rooms, pantries, etc. and one of the best options for corridors. When choosing a shelving system for your home, make sure that you selected the right size and color and that the type of modular elements meet your requirements and criteria. Do not forget that shelves are open and all the items stored on them are permanently displayed. Check out the depth as well to see whether you will be able to store larger and heavier items. Heavy and bulky items, as well as functional items that you use most often should be placed lower for easy access while decorative items and home accessories can be arranged on the upper levels. 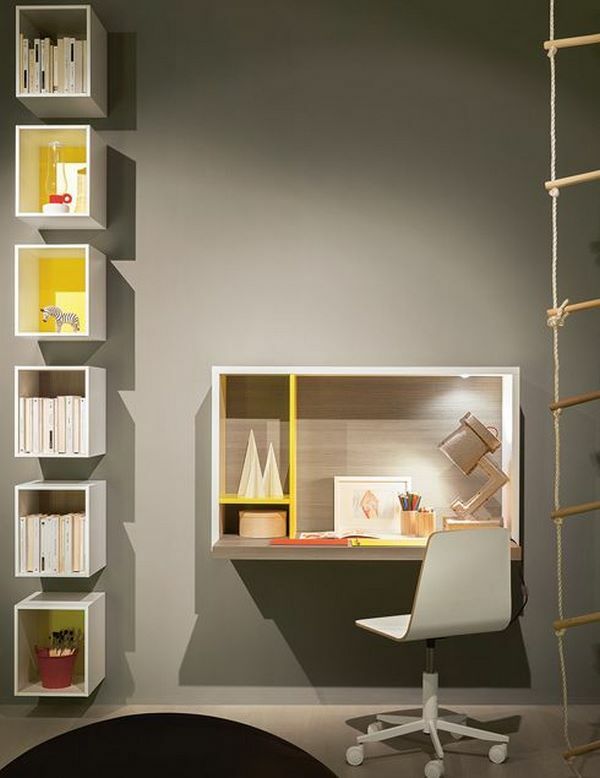 Enjoy the gallery below and see how modular shelving systems are creatively used in home interior designs. The post Modern modular shelving systems and practical storage space ideas appeared first on Deavita Interior design and Architecture Magazine.